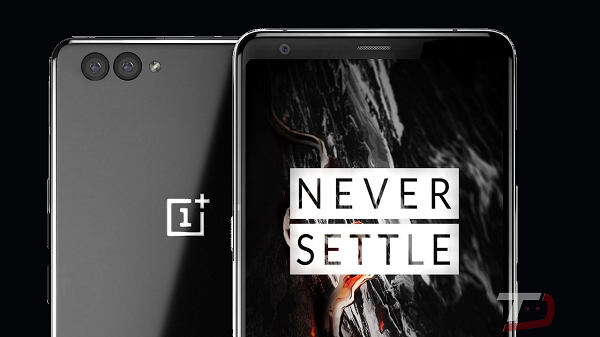 Currently, the talk of the town is the Chinese smartphone vendor, OnePlus's upcoming phone, the OnePlus 5. 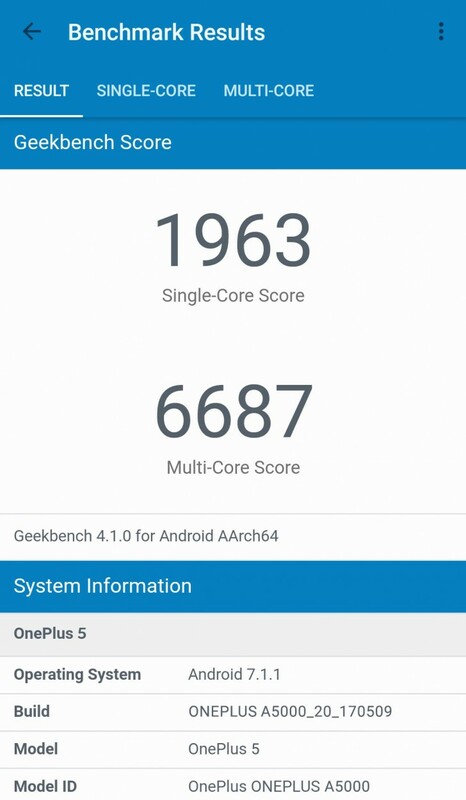 While the Company yesterday officially confirmed the name of the phone, it is now spotted on benchmarking site Geekbench. As you can see in the image below, it clearly states that the phone will bear a model number A5000, which was rumoured earlier as well. The device has a single core score of 1963, which is below the scores of Apple iPhone 7 Plus and Samsung Galaxy S8+. However, the phone achieved a multi-core score of 6687, higher than any other smartphone released till date. The device was running Android 7.1.1 Nougat while running the benchmark test. Until now, no phone has achieved the scores as the OnePlus 5. In fact, the other Snapdragon 835 powered smartphones such as the Galaxy S8 duo, Xiaomi Mi 6, and Sony Xperia XZ Premium all have fewer benchmark scores.